Our Pro Shop features top quality, affordable branded golf equipment, merchandise and apparel available with Chesapeake Bay Golf Club’s logo. If we don’t have what you need in stock, we will be happy to order it for you! Looking for a great Golf Gift? Chesapeake Bay Golf Club’s Pro Shop offers a quality selection of Golf Clubs, Equipment & Merchandise. Plus, CBGC Gift Cards in any amount are available for purchase year round. 2018 CBGC Season Tickets – Fan Favorite! For a Limited Time… Available for purchase Online or in the Pro Shop! If you enjoy more than 10 rounds of golf in a year, Chesapeake Bay Golf Club has a variety of options to allow you to play more golf & save in 2018. The more you play, the more you’ll save! Chesapeake Bay Golf Club’s 2018 Season Tickets, as well as our 2018 Membership Options provide an unbeatable value at Chesapeake Bay Golf Club’s Rising Sun Course. Our 2018 Season Tickets make a great gift! Available for purchase today. Choose from “Prime Time”, “Senior 60+”, “7 Day”, “Twilight” and “Driving Range” in 10 Round or 25 Round Options! Victory Golf Pass Book – On Sale Here! 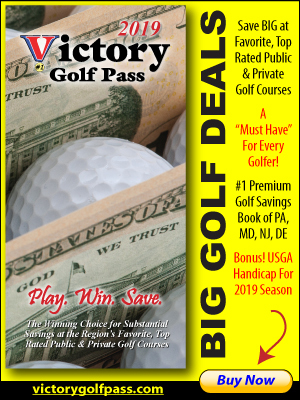 The 2018 Victory Golf Pass book is the #1 Premium Golf Savings Book in Pennsylvania, Maryland, Delaware & New Jersey! Purchase yours today at the Pro Shop. The Victory Golf Pass offers BIG Savings to 349 Favorite, Top Rated Delaware Valley courses including Chesapeake Bay Golf Club. Plus get cool deals for Driving Ranges, Executive, and Par 3 Courses, Chip & Putt, Mini Golf, FootGolf – and Bonus Savings like Super Saver Deals, Senior 60+, Hero (Military), Junior, Off-Season, Pro Shop, Restaurant & Lesson Discounts! Includes special Victory Outing Days – including the 13th Annual Victory Members & Friends Golf Outing Monday, October 8, 2018 at Chesapeake Bay Golf Club (Event is Open to the Public. 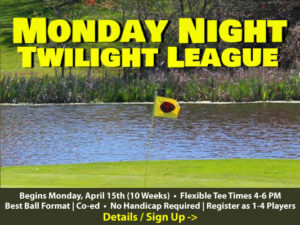 Contact Pro Shop 410-658-4343 x26 to Sign up or for details). To view all Participating Public & Private Golf Courses and Deals, or to purchase online, visit victorygolfpass.com. Do you have Victory in your bag? Our Professional staff is trained and certified to personally fit you for a new set of clubs. See our Club Fitting Guarantee. In need of Club Repair? Check out our Club Repair Center. *In Stock Merchandise & Equipment is subject to change and may vary.